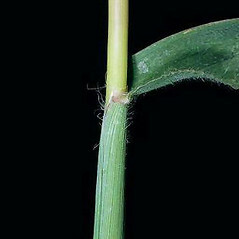 Hairy crabgrass is native to Europe and has become a weed of lawns and fields throughout much of the world, including New England. 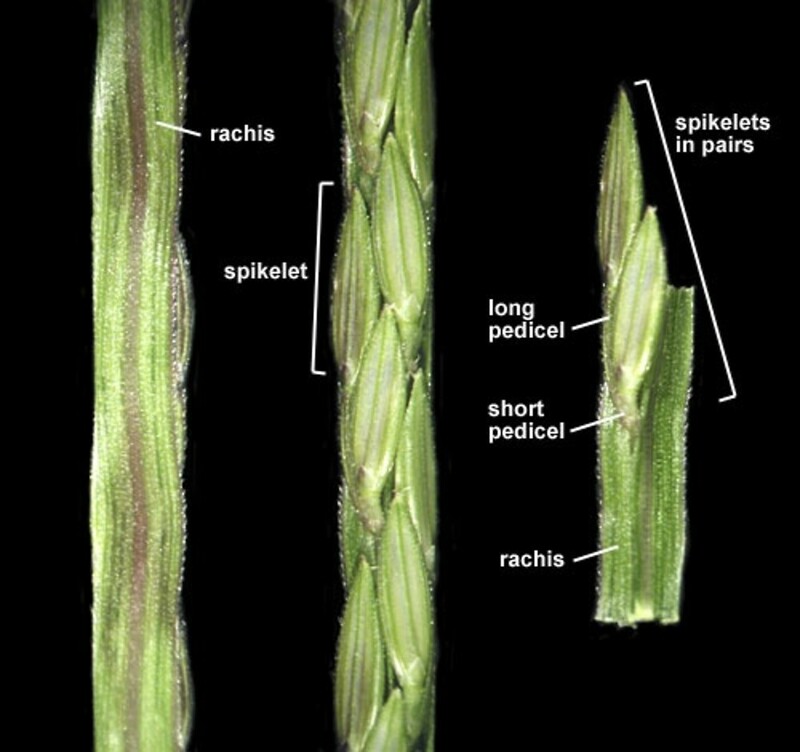 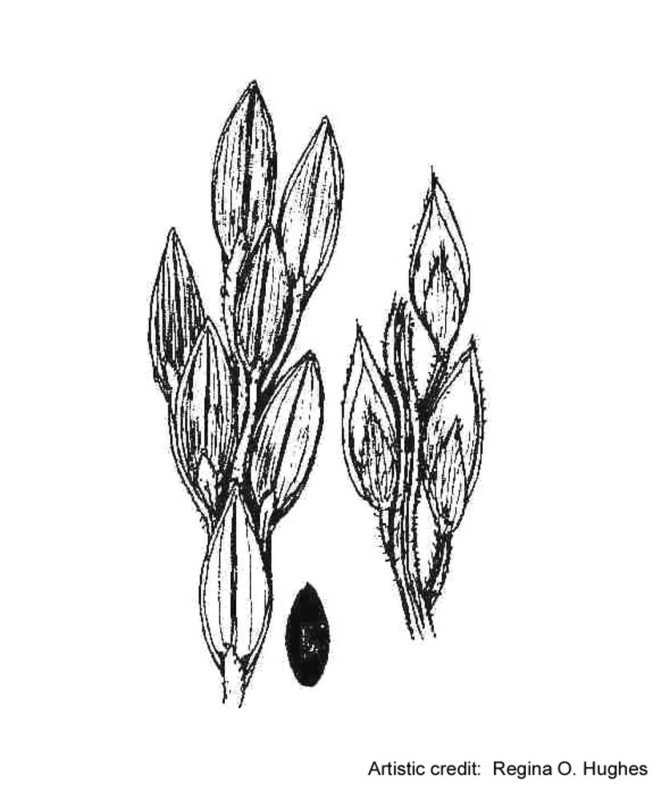 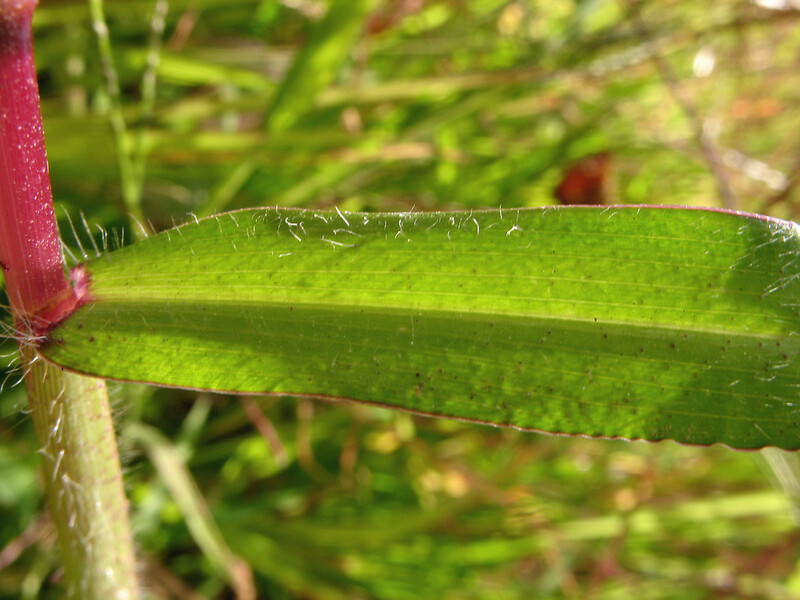 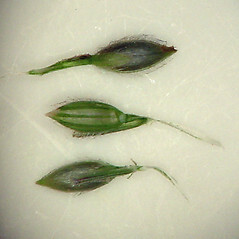 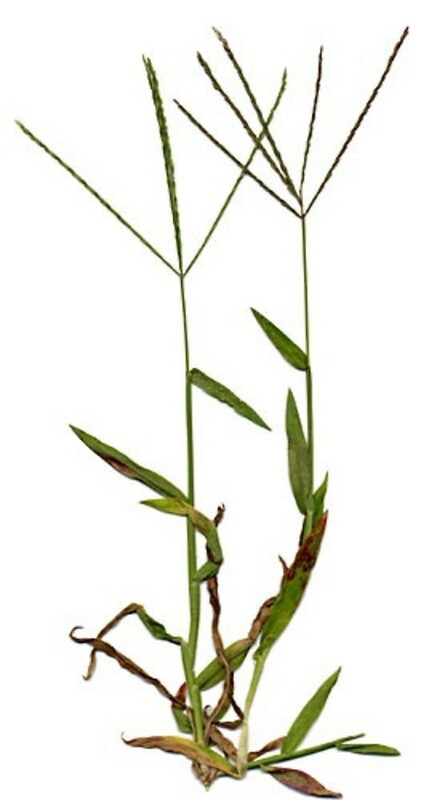 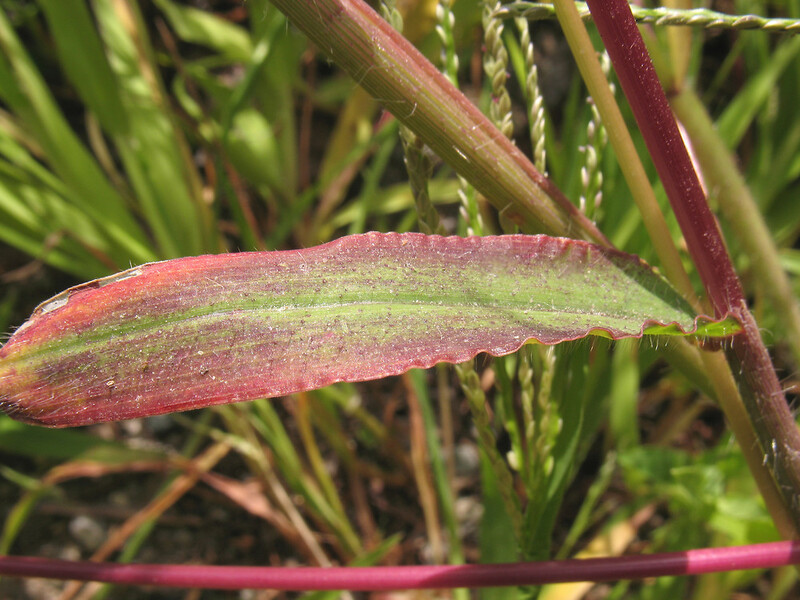 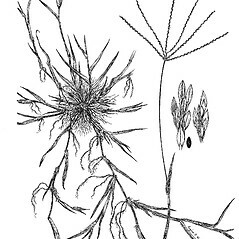 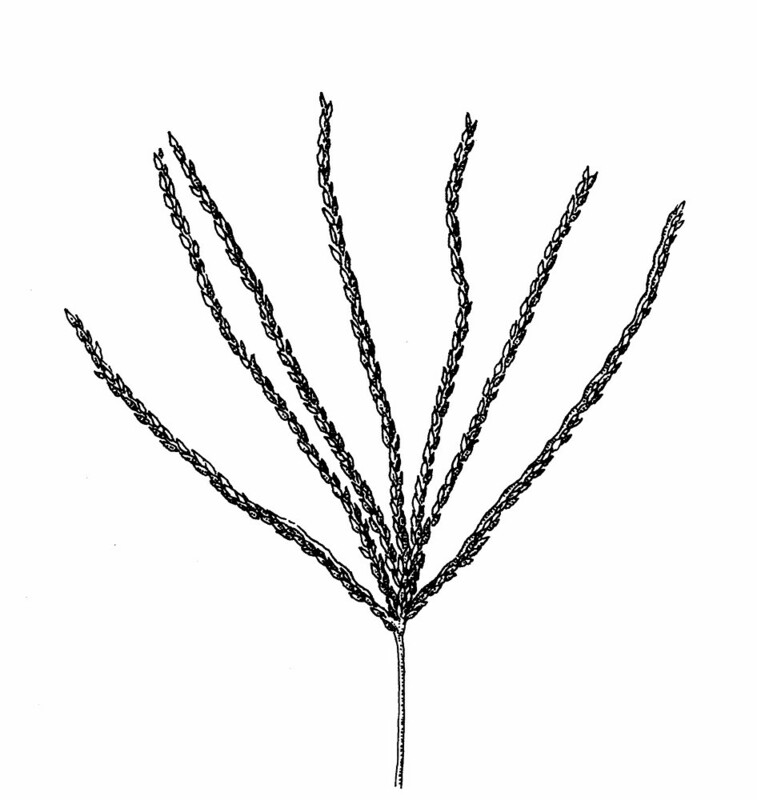 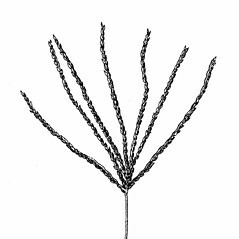 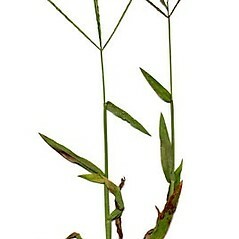 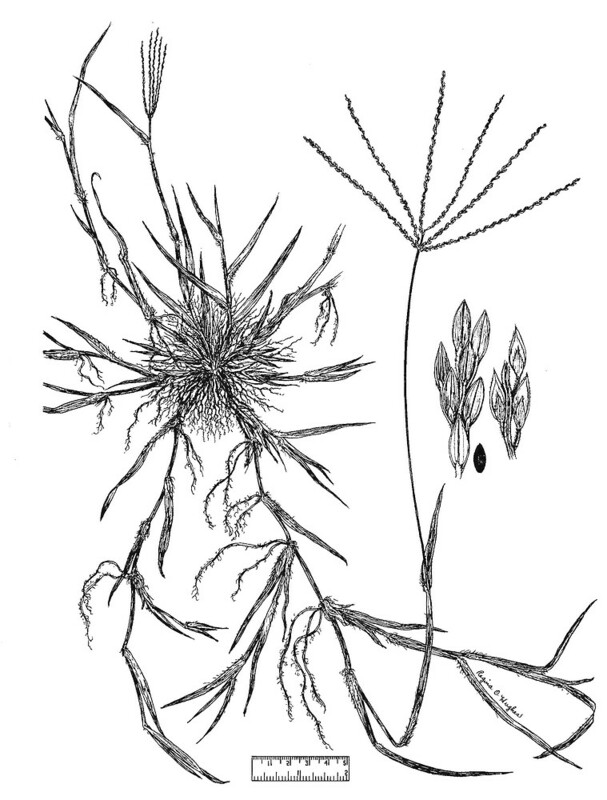 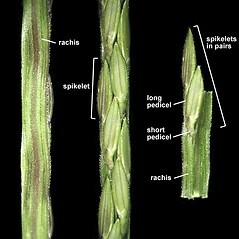 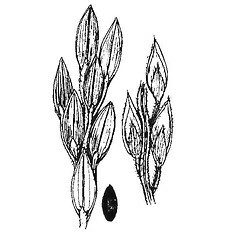 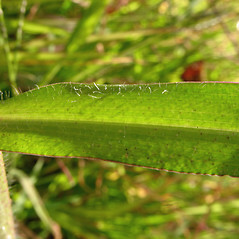 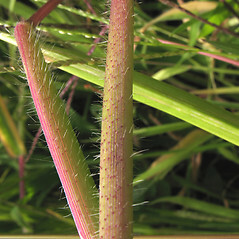 Its success as a weed of lawns is due in part to its adaptability to mowing: it can produce seeds at mowing heights as low as 0.5 inch (1.27 cm). 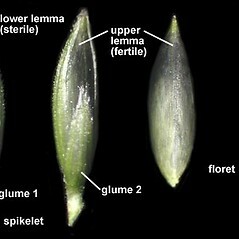 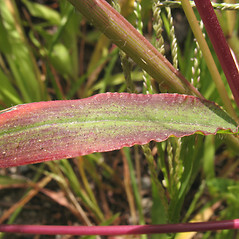 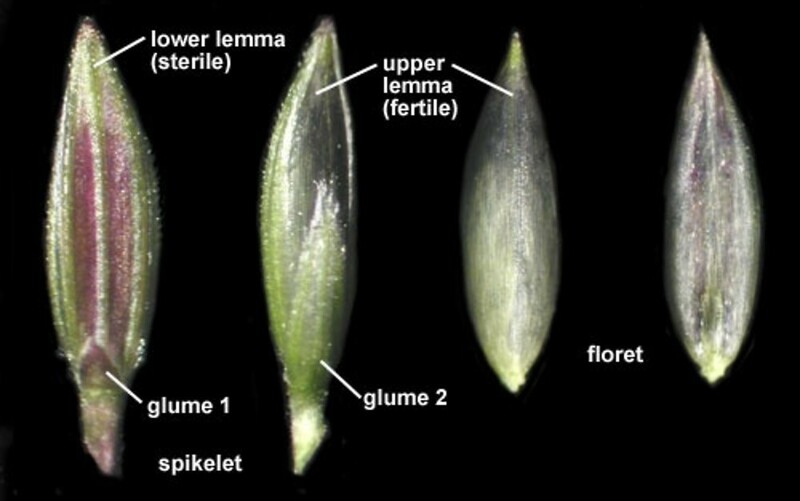 lower glume absent or a tiny, membranous rim and upper lemma dark purple-brown (vs. D. sanguinalis, with the lower glume present and 0.2-0.4 mm long and upper lemma yellow to gray or brown). 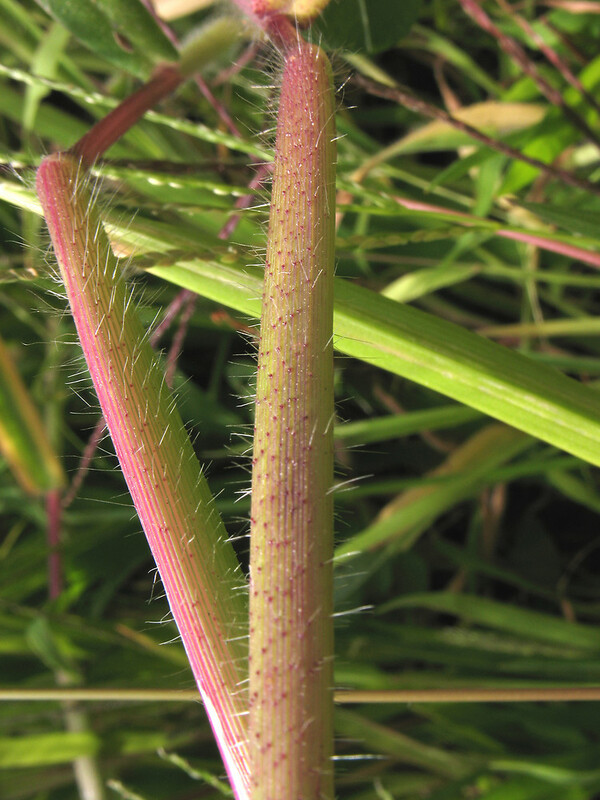 hairy crabgrass. 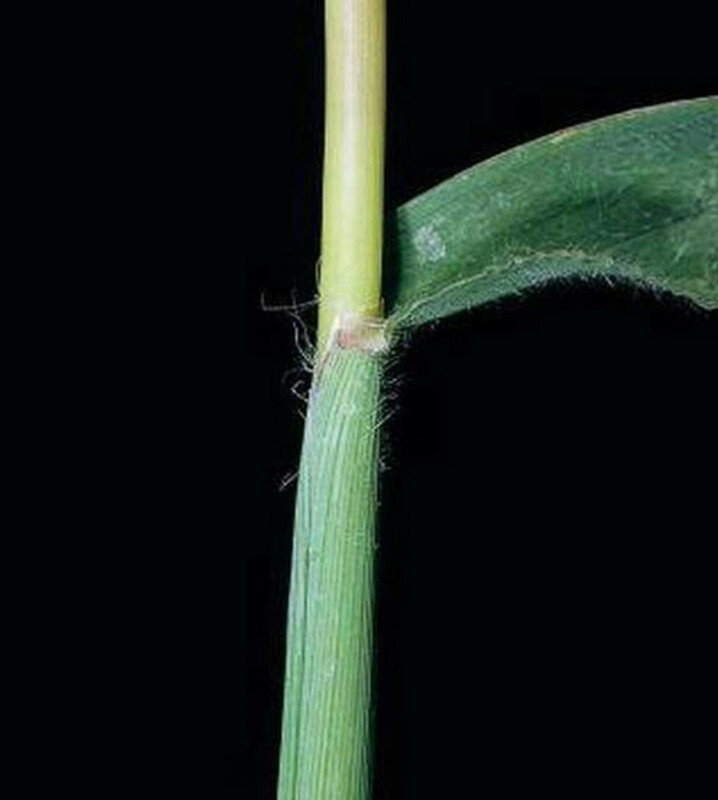 Panicum sanguinale L. • CT, MA, ME, NH, RI, VT. Roadsides, yards, railroads, lawns, sandy, disturbed soil.